Student caps and matriculation examination certificates on the laps of graduates during a matriculation ceremony at the Normal Lyceum of Helsinki on 30 May, 2015. President Sauli Niinistö revealed that he is concerned about the soaring prices of textbooks in secondary education while giving a guest lecture at the University of Turku on Tuesday. Niinistö pointed out that the recent adoption of new textbooks has increased the costs of secondary education in Finland, possibly to the extent that it is restricting the ability of individuals to pursue an education. “Is Finland a country of opportunity for everyone?” he asked in what was the first of a series of guest lectures given by candidates in the presidential elections of 2018. Niinistö has some first-hand experience of the issue as he has served as the chairman of the board of Tukikummit, an organisation established to provide financial support to low-income families and, thus, prevent the social exclusion of children and young people. Over a fifth of the support provided by the organisation is for textbooks, he told. “And that number is constantly growing,” added Niinistö. The issue has also prompted student unions and non-governmental organisations to launch a citizens’ initiative in an attempt to urge the government to take action to reduce costs associated with vocational and general upper secondary education. “The cost of vocational and general upper secondary education is high: For example, the total cost of general upper secondary education can rise to 2,600 euros and that of certain vocational degrees – depending on the field and education institution – to several thousands of euros,” the sponsors of the initiative argue. The sponsors also point out that up to 15 per cent of Finns fail to complete secondary education by the age of 25. Preliminary research data, they add, indicate that financial struggles were a contributing factor to up to a quarter of school drop-outs. “Almost a half of young people without a degree and education place have had to cut back or give up on their studies due to a lack of money. Almost 10,000 Finns have already expressed their support for the citizens’ initiative, which was launched at the beginning of September. 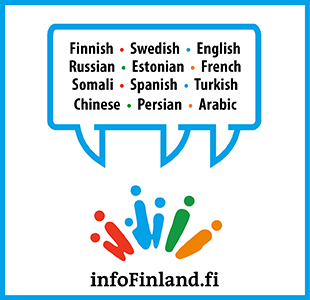 A total of 50,000 statements of support are required to present the initiative to the Finnish Parliament.